Spain is not only known for delicious wine, but churros con chocolate. Churros are long thin fried dough that is crispy on the outside and spongy yumminess on the inside. They are typically eaten as a mid-morning snack (merienda) or an after clubbing pick me up. These hot doughy treats are served with a large (and I mean huge) cup of thick hot chocolate. Don’t confuse this hot chocolate with the hot chocolate you drink because this hot chocolate is thick and resembles more of a pudding that can be eaten with a spoon. It is also recommended to drink it once you’ve dipped and eaten all of your churros. 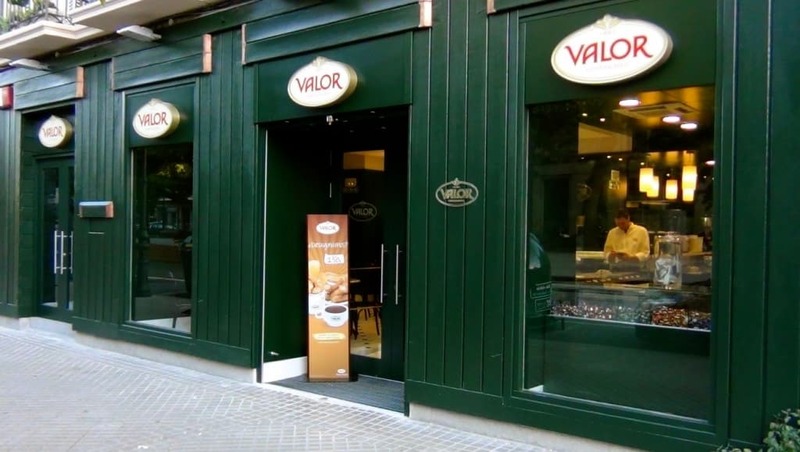 Here is a list of the best places in Madrid to satisfy your sweet tooth! You must go here! I repeat you must try this place and you have no excuses. It is open 24 hours a day, seven days a week. It is the city’s most renowned chocolate café. 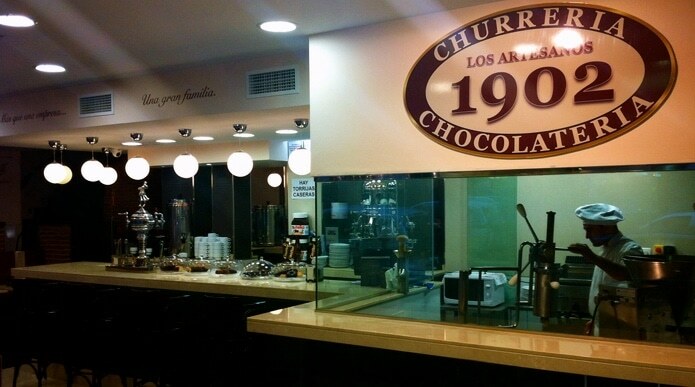 Dating back to 1894, this chocolatería is always busy, but don’t let that get in the way of tasting the thick sweet hot chocolate and scrumptious churros because they are worth the wait. Plus San Ginés has very reasonable prices so you can eat a lot of chocolate and churros without breaking the bank. This place is family run in 1902 and is a little bit smaller, as well as less busy than San Ginés. You can even watch the churros get made because they have a large glass window where you can see the dough get shaped and thrown into the hot oil. Also they offer both dark and milk chocolate options, which is harder to find here in Spain. If you are too impatient to wait for a table at San Ginés you have a significantly better chance of getting a spot here so go!! 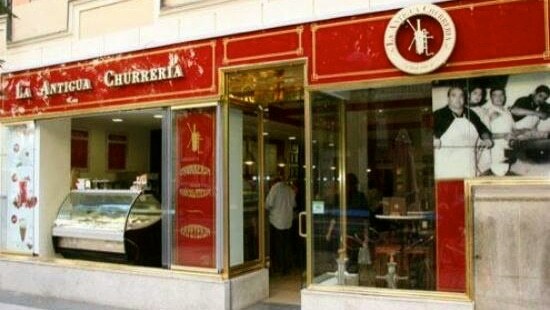 This is chocolatería offers a brand of chocolate that is Spain’s most loved chocolate. They are started making chocolate in 1881 and during the cold months it became a popular location for locals to grab a merienda and warm up. 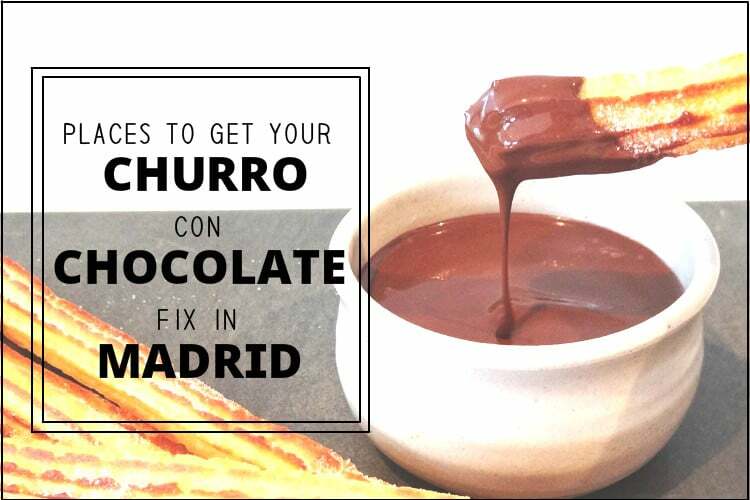 There are several spots all over the city that offers their mouth-watering warm chocolate and churros. They are a little pricier than some of the other options but they offer so many types of chocolate. The only problem you might have is deciding what to order because their menu is extensive and everything sounds and looks amazing. 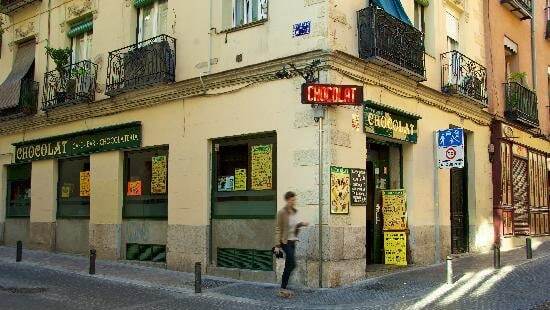 Often under the radar of tourists, Chocolat Madrid serves some of the best chocolate and churros in all of Madrid. It opened in 2003 and aims to make each customer love their products by offering high quality chocolate goodness plus other delicious food that are affordable. 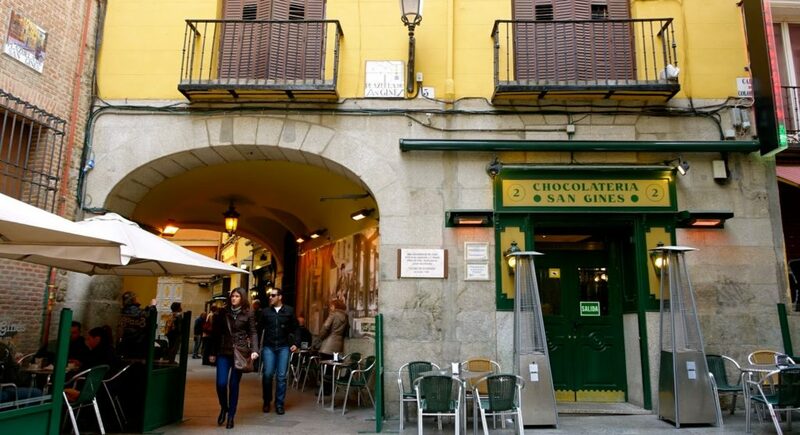 It is located on a side street in the Barrio de las Letras and is a great place to grab a quick, but sweet breakfast.